Forest Ridge Apartments is a community of one and two bedroom apartments located on the Westside of Cleveland, in North Ridgeville, Ohio. Featuring affordable, spacious apartments with convenient access to schools, shopping, entertainment and more. 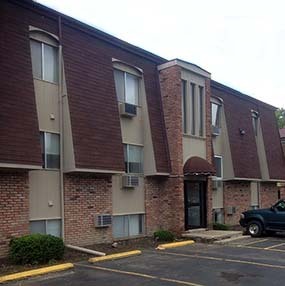 Forest Ridge Apartments offers one and two bedroom apartments for rent in North Ridgeville, Ohio. Locally owned and operated, our property features affordable, spacious apartments with convenient access to schools, shopping, entertainment and more. The apartments are situated in a park-like setting with ample green space. Units feature air conditioning, large closets and appliances. Water and sewer are included in your rent. 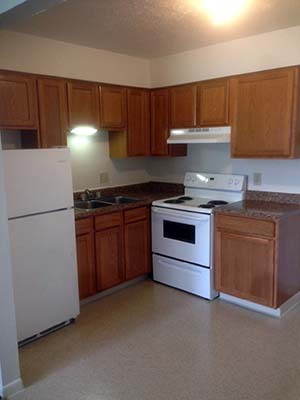 Come see our updated units and renovated common areas. We are located at 6003 Jaycox Rd, North Ridgeville Ohio, 44039. Stop by for a tour and see why we are a great place to live. We are locally owned and operated since 1985 and have that attention to detail other places lack. If you have any questions, please feel free to call us at: 440-327-6634. North Ridgeville is a warm, neighborly and growing city of 29,465 located in Lorain County in Northeast Ohio. Our strategically located municipality boasts interchanges to I-480, I-80, SR-10, SR-20 and SR-83. We are 10 minutes from Cleveland Hopkins International Airport and 20 minutes from Downtown Cleveland. We're business and visitor friendly and committed to attractingquality commerce while supporting and expanding our existing business community. North Ridgeville is a great place to live and work. Cleveland Magazine named the City one of the "Best Places to Live in the Cleveland Area" and the Home Builders Association cited North Ridgeville as a leader in Northeast Ohio for new home construction in the past few years. In 2013, North Ridgeville was recognized by Neighborhood Scout as the 21st safest city in America.